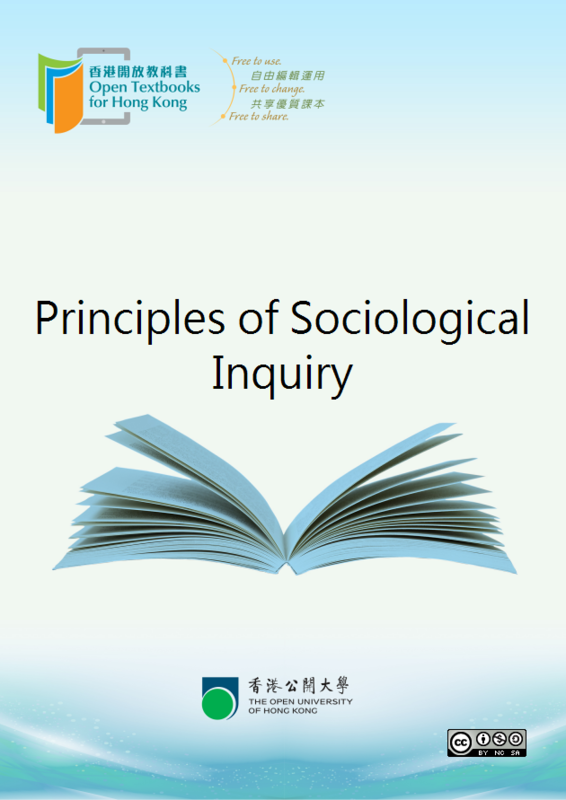 "Principles of Sociological Inquiry" is one of the free open textbooks for Tertiary level. Feel free to use, adapt and modify the content to your own needs, and share the improved content with others because the book is offered under Creative Commons (CC) license. It allows users to repurpose the materials under the condition that original authors’ contribution is acknowledged. This selection and arrangement of content is licensed under the Creative Commons Attribution-NonCommercial-ShareAlike 4.0 license (http://creativecommons.org/licenses/by-nc-sa/4.0/). How Do You Feel About Where You Already Are? What Do You Know About Where You Already Are? What Do Social Scientists Measure? How Do Social Scientists Measure? Who Sampled, How Sampled, and for What Purpose? Survey Research: What Is It and When Should It Be Used? Interview Research: What Is It and When Should It Be Used? Field Research: What Is It and When to Use It? Unobtrusive Research: What Is It and When to Use It? Revisiting an Earlier Question: Why Should We Care?